Summer rhymes with fun in the sun and taking it easy – except for parents that is. Inevitably, about halfway through summer vacation, most families begin thinking about their back-to-school purchases, including educational supplies, school gear and clothes. For many, this expense is one of the greatest costs related to their children every year – especially if the parents aren’t necessarily at ease financially. Requesting a personal loan online with no hard credit check is one option for getting your way out of back-to-school costs, however there are also a few tips and tricks you can apply to help you stay on budget! Back-to-School: How to save money? One of the best methods in saving money when it comes to the back-to-school season is only purchasing the essential supplies at first. Let’s face it, your child probably has a few pencils, glue sticks, crayons or other supplies that have come back home from last year. Once the back-to-school hubbub is all over, you can then head out to the store and pick up any remaining items your child may need – probably on sale too! There is more than one good reason for waiting prior to purchasing all new school supplies for your child. Sure, it saves you money and spreads the costs out over several months instead of all in the same week, however, it also allows your child time to decide what they want. This is a good trick to have up one’s sleeve because it allows to see what’s trendy – avoiding the purchase of a pair of shoes or winter boots that your child will never wear. Instead of frantically purchasing all your child’s back-to-school supplies in a week’s time, ensuring that you pay full price on everything, keep an eye out for clearance sales all summer long – and even once school has started! Such sales can really save money in your back-to-school budget and avoid you having to go back to the store time and time again throughout the year. Remember that September is a great month to take advantage of the many specials and sales going on in practically all the stores, so if you’ve missed anything, then is the time to head out and pick it up. If your child is stuck on purchasing expensive brand names or trendy items that don’t necessarily fit your budget, then perhaps it’s time to teach your children the importance of budgeting! For example, you can pay the first 25$ or 50$ on the requested item and have your child pay off the rest with their own money. Younger children can use birthday money, or gift cards that they have accumulated throughout the year. More so, you can keep in mind that an entire new wardrobe may not be necessary come the first of September. Although it may be considered the first month of fall, the weather is still generally warm and your child can continue to wear many of their summer clothes. Go easy when buying clothes, buy their needs, and watch for specials that go on throughout the year as your child grows. 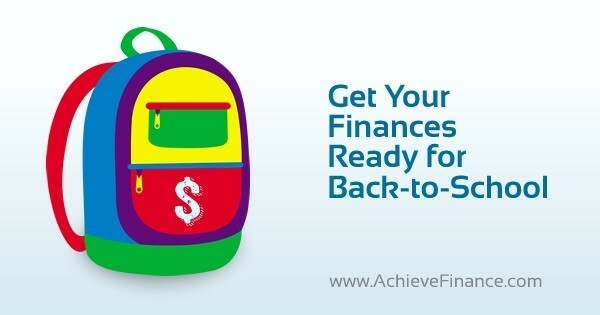 All in all, when it comes to back-to-school shopping, it’s best to get organized, make a list, let your children know what you are and what you aren’t buying and save money! The internet is brimming with information – so much so, that it can be difficult to find reliable information. If you’ve said to yourself: “I need cash now” and you’ve chosen to look online for the best method in obtaining such, then you should start by checking out Reddit, especially if you have a little time in front of you in order to fix your financial situation. In sum, Reddit is a global forum where the 330 million users can post any type of content and have it voted on. With approximately 14 billion page views per month, top content has a tendency of quickly rising to the top. Reddit functions at lightning speed, allowing you to obtain current and up-to-date information, notbally thanks to the sheer number of users. 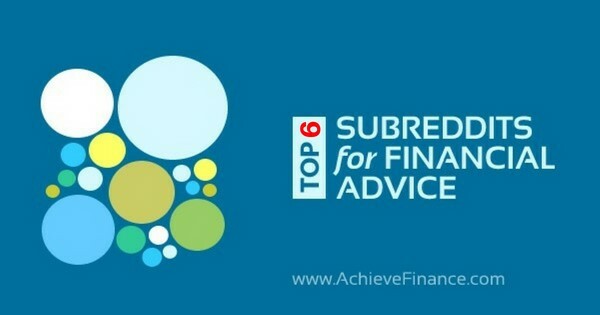 One of the most interesting, and probably one of the most useful sources of information one can find on Reddit is definitely related to handling your personal finances and obtaining financial advice! (r/personalfinance) – This rather broad subreddit alone has 13 million users, all of which share both content and expertise for free. Whether you’re looking for information on savings, taxes, credit score or any subject in between, you’ve got it at the tip of your fingers, here. This subreddit can even inform you on the best methods to get a raise at work or how to verify that one’s financial advisor isn’t a fake. If such is something of interest to you, it is equally possible to access their money guides, which are linked to the sidebar of the front page. Furthermore, it is even possible to post your own questions, allowing you to obtain personalized answers as well as one on one assistance for any financial problems or questions you may be dealing with. Overall, when it comes to personal financial advice, this is probably one of the best and one of the most complete sources online. (r/financialindependence) – Looking to learn how to budget effectively or plan for your financial future? Then look no further, the subreddit on financial independence is sure to give you the answers you’re in need of. You will have quick access to useful tips on how to build your credit rating, on how to start saving money and even how to make a little money on the side, just to name a few. Here, you can view posts from other users about how you can keep a positive credit score and avoid credit repair. Don’t hesitate to ask your own questions, get involved in ongoing feeds and feel confident knowing that you’re obtaining some of the best tips and advice from other individuals who have succeeded financial independence. (r/CreditCards) Whether or not to use them, how to use them and when to use them are all questions that may be running through your mind when it comes to a credit card. However, you can rest assured knowing that this subreddit is loaded with pertinent information, varying from how to effectively use a credit card to your own benefit, to choosing your first credit card and all the way to assessing your needs and selecting the best credit card that fits them. Credit cards is a rather vast topic, seeing the many types of cards and the hundreds of thousands of users so, grab a snack and get reading – information isn’t lacking! (r/PFtools) – Handling your personal finances is made easier and easier every day, especially thanks to all the possible tools that exist in order to make the task easier. On this subreddit, get ready to have access to an entire list of tools that can help you better achieve your goals. Ranging anywhere from financial calculators, software and budget applications, you will find reviews on any and all free and paid tools through this subreddit. Whether you need to create your own budget, choose a mortgage payment, learn to better save and invest your money or even learning how to build a positive credit score, this is definitely a source you should be looking at. Tools used in the proper manner can really improve your means in handling money. (r/makingmoney) Of course, and you’ve probably guessed it, making money is another broad subject. However, you’d be surprised at how many unique and innovative methods individuals have come up with in order to make money on the side. Again, here, you’ll find the top methods to make a little extra money, however you’ll also be capable of taking note of which methods are scams or not worth spending time and energy in. Before embarking in a new way to make money, be it from home, online, or elsewhere, it might be a good idea to check out the “Making Money” subreddit in order to get properly informed! (r/Frugal) – Saving money is a big deal – and on the Frugal subreddit, 500 000 users come together on a daily basis in order to share their best and most effective ways of saving money – literally on everything. Check out this subreddit on a regular basis and you’ll find yourself cutting back on expenses in no time – these hacks are really worth while! More so, learning how to cut down on your expenses is a must when it comes to saving, to building your credit score or to investing money in the right places, so this source offers crucial information. Reddit is a great resource for anyone looking to start saving for the future or trying to unload their debt burden. These six subreddits are just a start.